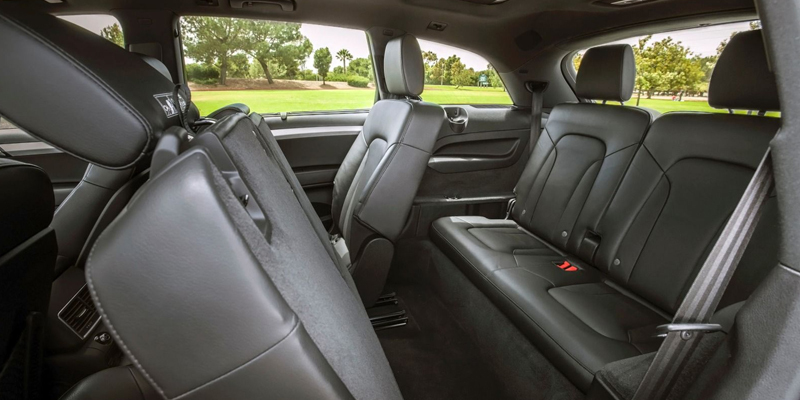 The Audi Q7 is proof that SUV can be seriously luxurious while offering plenty of legroom and a roll call list of luxury features for passengers. Alongside its spacious boot and numerous little thoughtful touches, the Audi Q7 is a great choice for anyone looking to make a grand entrance—or exit! Thanks to the generous luggage allowance, the Audi Q7 luxury SUV is a great choice for people seeking a luxurious chauffeur driven transfer to and from Sydney airport—we ensure that you get where you need to be on time with no fuss. 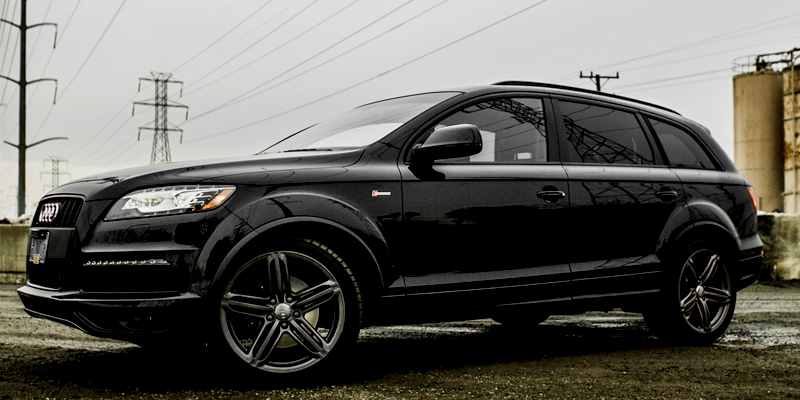 The imposing exterior of the Audi Q7 also makes it a great choice for special occasions. The rugged good looks of the Audi Q7 make it a great choice for a wedding, or provide a dash of luxury for corporate events in which transport is required. The Audi Q7 is maintained regularly to ensure that it is always reliable, while the interior is rigorously cleaned after each use to ensure that it is spotless inside and out—we guarantee you a high quality service that impresses. The masculine exterior of the Audi Q7 luxury SUV combined with a gorgeous interior sets new standards when it comes to enjoy luxury travel with a chauffeur. Fitting up to four passengers comfortably, our chauffeurs ensure that you get where you need to be on time. The interior of the Audi Q7 offers a comfortable and elegant leather trim, while air suspension, ergonomic seats and a modern climate control system ensure that passenger comfort is guaranteed. Our fleet of Audi Q7 luxury SUVs comes with thoughtful extras that are designed to make a big difference to even the longest trips with your chauffeur. The Q7 offers entertainment that’s both flexible and refined, adding up to a hire luxury vehicle that offers a superb all-round experience. 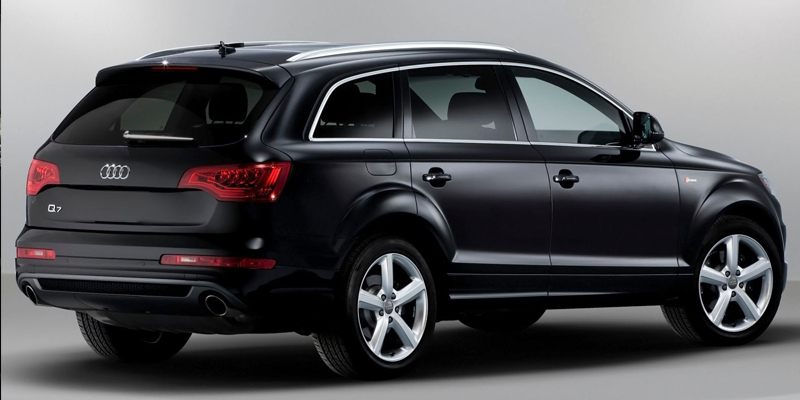 Book your Audi Q7 luxury SUV chauffeur driven ride today in order to avoid disappointment with one of our most popular cars! Whether you seek an airport transfer to or from Sydney airport or a stylish car for your special occasion, our fleet and chauffeurs are here to help. Call now on 1300-589-227 or click below for an instant quote.